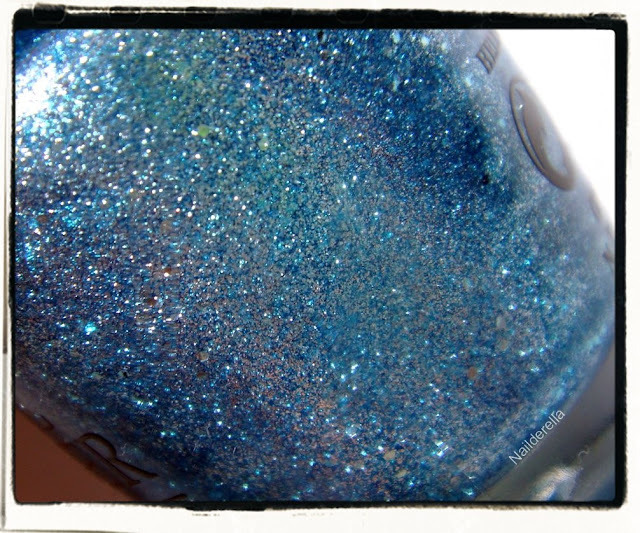 I showed you a few days ago Honey Ryder, one of the polishes from the new OPI collection, The Bond Girls. If you missed it, you can see it HERE. 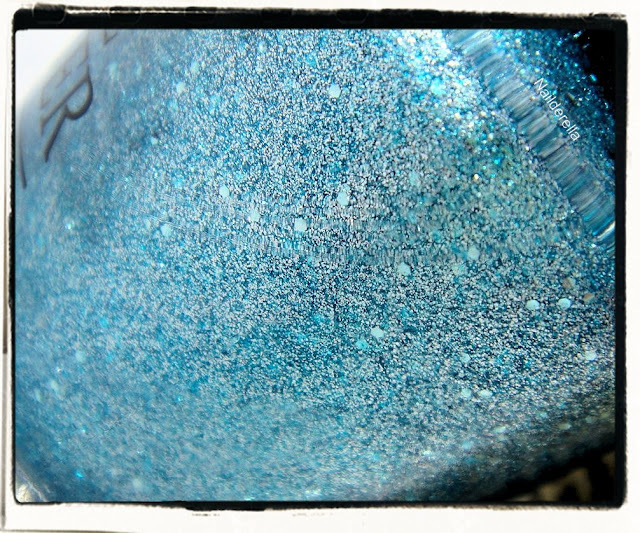 Today, I'll share some pictures of Tiffany Case, another gorgeous liquid sand polish. Bottle shot to show the glitters in it! And this one to show the sparkles! And I did some very easy nail art with it. On the middle and ring fingers, I used 2 coats of OPI Road House Blues (Touring America collection, fall 2011) that I mattified with OPI Matte top coat and I added some dots with Tiffany Case. I won't say much about OPI Matte Top Coat because I'll do a full post about it this week but what I can say is that I absolutely adore it! Final thoughts: Tiffany Case is a "liquid sand" polish, meaning a textured polish. 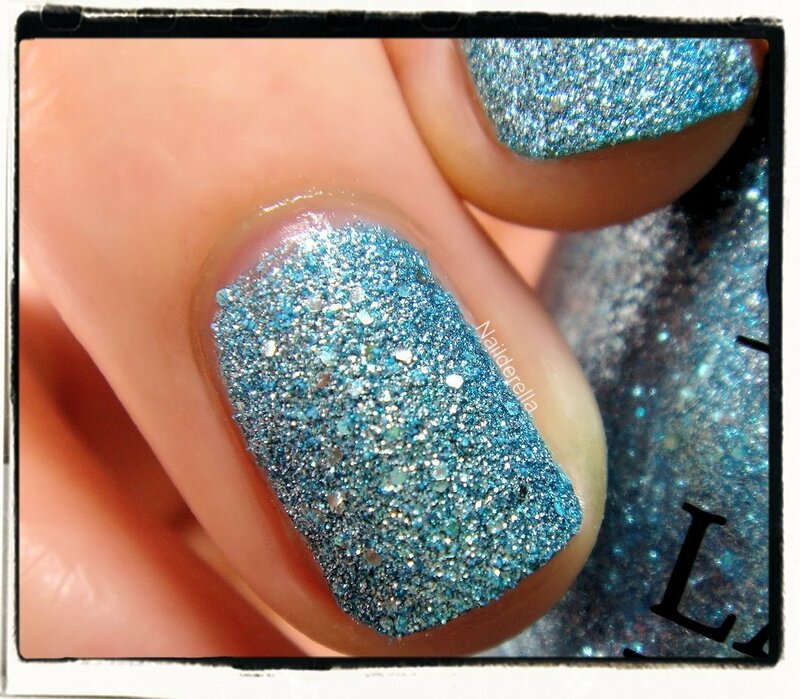 What I like about OPI liquid sand polishes is that they are always sparkly and super pretty! I really enjoy wearing each of them! In that sense, Tiffany Case does not disappoint. If you are wondering, Tiffany Case is lighter and there is more silver in it compared to Mariah Carey's Get Your Number. You will need 2 coats to get full opacity and the polish is easy to apply. Don't forget to wear a base coat with this polish because it tends to stain a little. For Switzerland, you can search for licensed retailers here. OPI The Bond Girls collection will be available May 21st, 2013 in Switzerland.